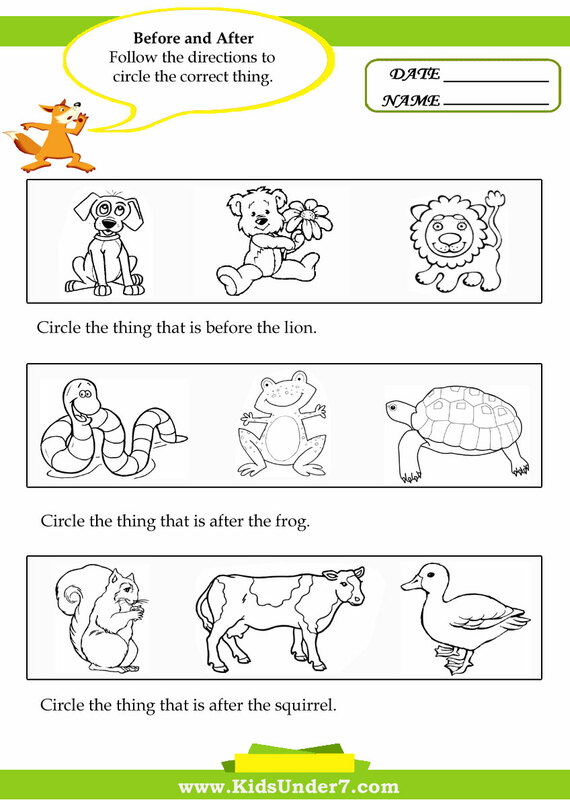 Kids will have fun while learning with these before and after worksheets and they will enjoy the different themes including animals, shapes, numbers and letters. 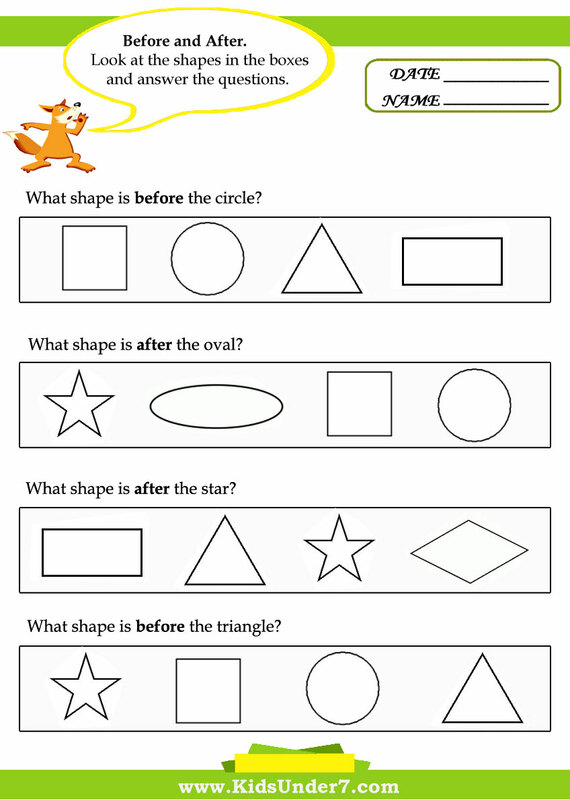 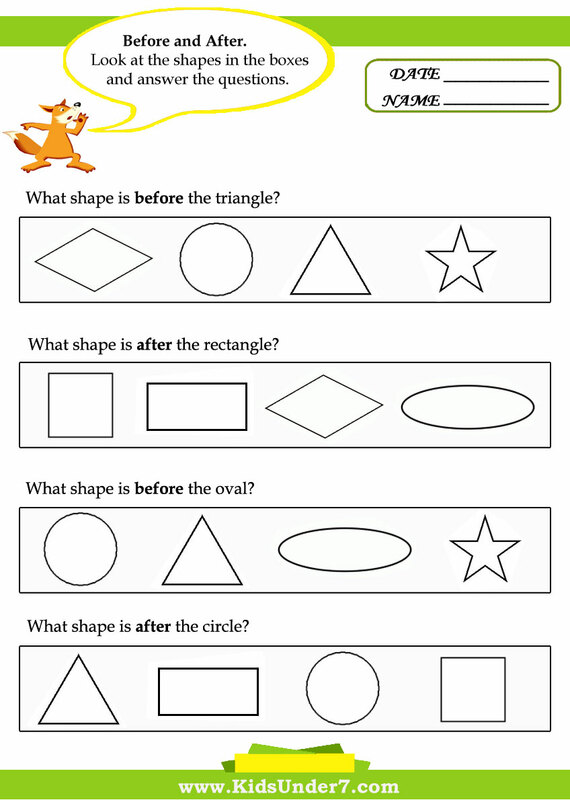 Look at the shapes in the boxes and answer the questions. 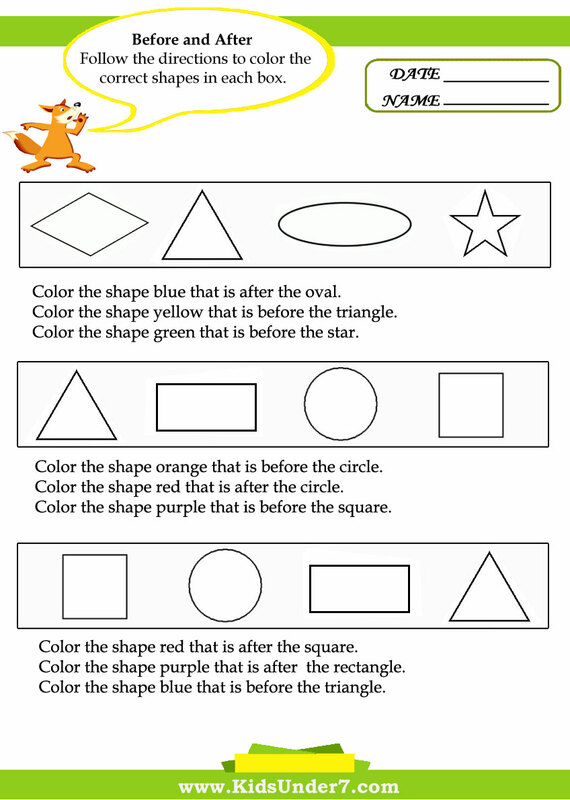 Follow the directions to color the correct shapes in each box. 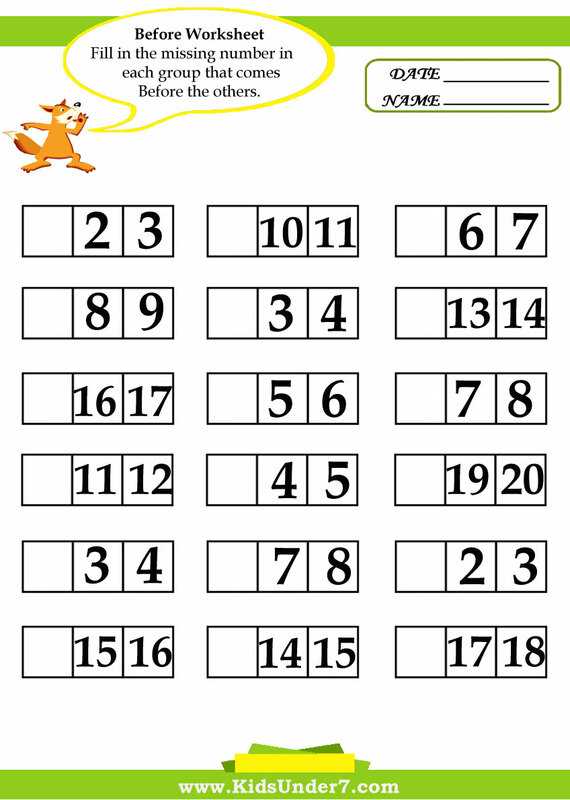 Fill in the missing number in each group that comes Before the others. 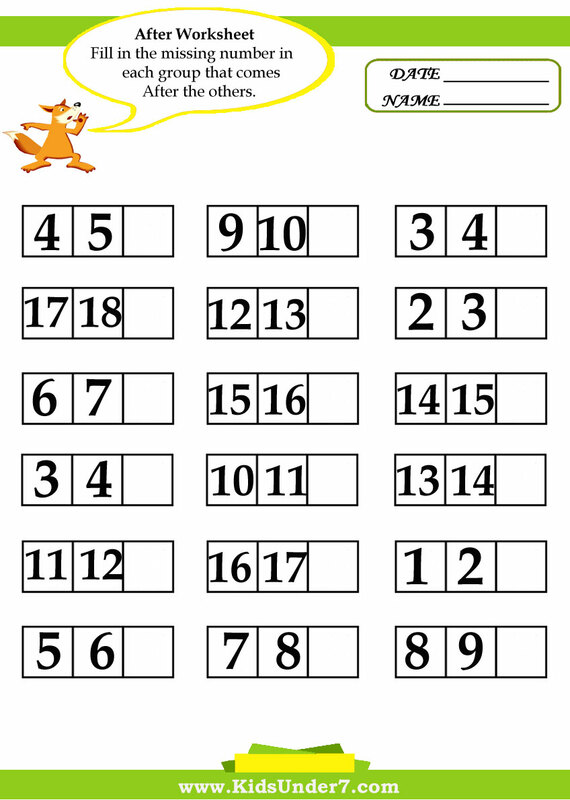 Fill in the missing number in each group that comes After the others. 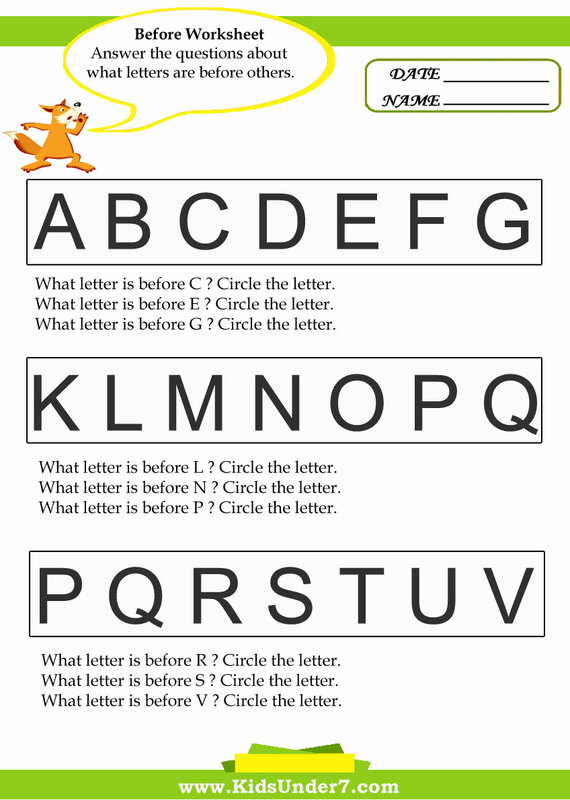 Answer the questions about what letters are before others. 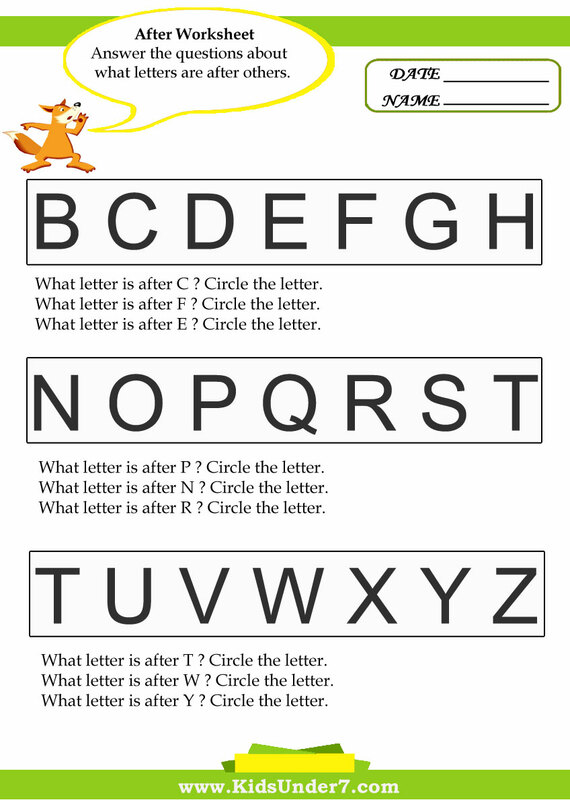 Answer the questions about what letters are after others. 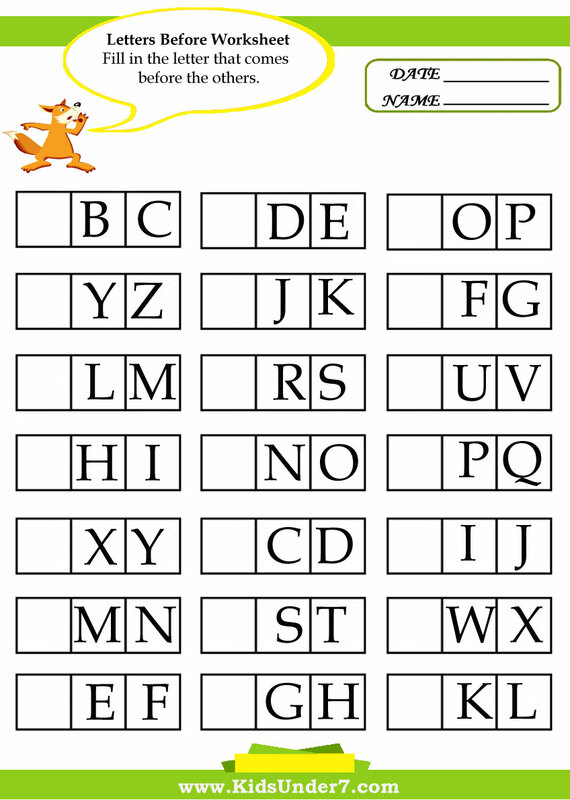 Fill in the letter that comes before the others. 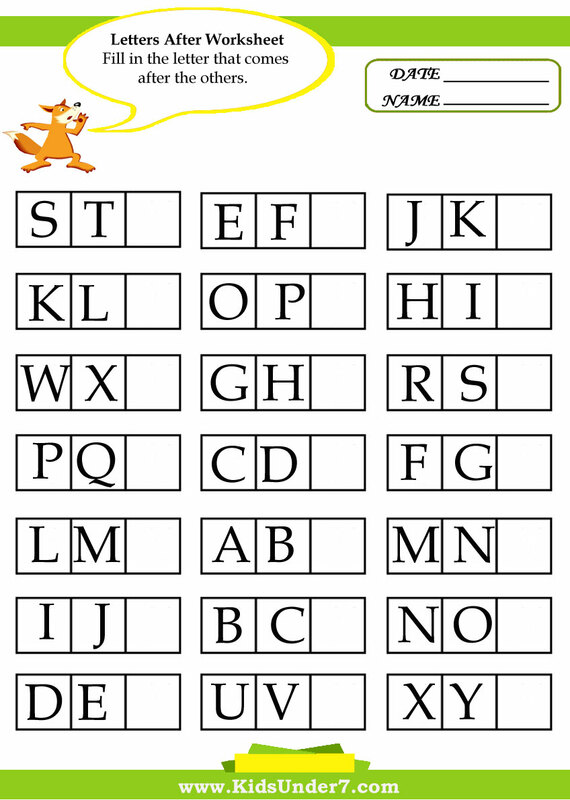 Fill in the letter that comes after the others. 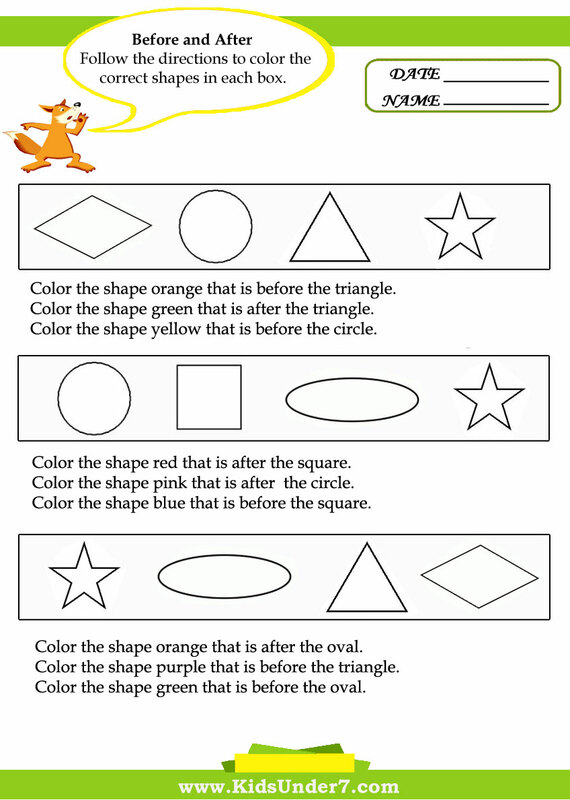 Follow the directions to circle the correct thing.